Instantly leave skin noticeably smoother and brighter with Dermalogica Daily Microfoliant, a unique rice-based enzyme powder that microfoliates dulling debris. Ideal for all skin conditions, it contains no artificial fragrance or colour. A unique powder that activates upon contact with water, Dermalogica Daily Microfoliant releases papain, salicylic acid and rice enzymes that micro-exfoliate, leaving skin smoother and brighter. 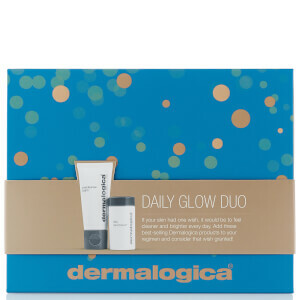 Formulated with a skin brightening complex of aspergillus, grapefruit and liquorice that help to balance uneven skin pigmentation, Dermalogica Daily Microfoliant also uses a super smoothing blend of green tea, ginkgo and colloidal oatmeal that helps calm skin, leaving it extraordinarily clear and refreshed. Dispense half a teaspoon of Daily Microfoliant into very wet hands and create a creamy paste by rubbing hands together. Massage gently for one minute, then rinse thoroughly. Follow with Multi-Active Toner or Soothing Protection Spray and your prescribed Dermalogica moisturiser. Firstly background check, I've oily; mature and acne prone skin, somtimes can be sensitive. Gentle yet do the job without drying feeling after, almost as good as Tathca Rice polish powder, I find Tatacha is a tag better with the same price point , so that's why not 5 stars here but it's more easy for me to get Dermalogica than Tatcha products in Europe, so I'll settle for this in the mean time. Another reveal on Lookfantastic everything is smooth but the deluxe sample, 2 times in a roll Lookfantastic unable to deliver the free gift, last time is sept. on Benefit samples and this time on Bareminerals, not please with this.! 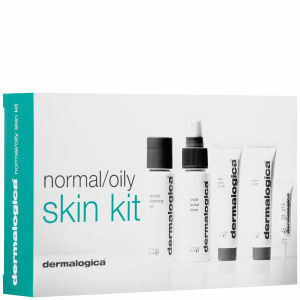 Ive used Dermalogica for many many years and this is still my favourite product in the range.......after a long day of commuting, city pollution and a day of make up! There is nothing better than nice clean skin at night night time, and helps with my uneven skin tone. Love this product! This exfoliating powder is amazing - it minimises pores, removes blackheads and dead skin cells and is perfect for creating a smooth T-zone. Once used it does leave a shine to the skin as the exfoliation process obviously activates the production of oils in the skin but I have found that the dermalogica hydra-blur primer is excellent at taming the shine from the oils in the skin, after using the microfoliant. Another way to combat any oils or shine is to use the microfoliant before the dermalogica cleanser gel, and the cleansing gel will take off the excess oils in the skin to reveal beautifully soft, bright skin! It really is a lovely exfoliation product - you simply wet your hands, shake some of the powder into your hands and mix into a smooth, semi-damp cream and work into your face using upward, massage motions. I recommend this product for any skin tones, dry skin, ashy skin, combination skin, normal skin and even oily skin. It is a must-have product for anyone with dry, flaky, or blemished skin with large pores or black-heads. If you have extremely oily skin that practically drips from your head on a daily basis - I would use a minimal amount and try exfoliating before cleansing so that your skin isn't drenched in excess oils, and splash cold water onto your face afterwards to close your pores. In short this microfoliant is awesome and essential for soft, smooth skin! Wonderful product! Splurged on this, having always tried it when having a facial or borrowed from friends. I love it. Skin feels incredibly clean after and no sensitivity. Alittle expensive hence only just buying it but so far very happy with purchase. I originally got the sample size from the Beauty box and pass it on to my son. He's been having skin problems for a very long time, he's tried a lot of treatments but nothing seemed to work for him. After 3 weeks using it, his skin is a lot cleaner and clearer!! Thank you!! I have pores, acne prone and the wrong side of 30. I am very careful what i use on my skin and have fallen in love with dermalogica. This product took a little bit of getting used to but when i had a few weeks break and went back to it i could really see the difference, my face feels cleaner and smoother, I've now started using the trx system to compliment which i also love. I purchased this product hoping it would improve my acne. After about 6 weeks usage it made my spots a lot worse, and therefore had no positive effect on my skin. I've tried many creams, face washes and unfortunately this one is added to the long list of products that don't work. I personally wouldn't recommend it, however I always say everyone's skin is different so it may work for others. Just an expensive test unfortunately. The best cleanser I have ever used. Cleans the skin in a very gentle but effective way. I use it almost every morning. I tried it once 5-6 years ago and fell in love straight away. It also goes a long way. I usually reorder every 3-4 months.